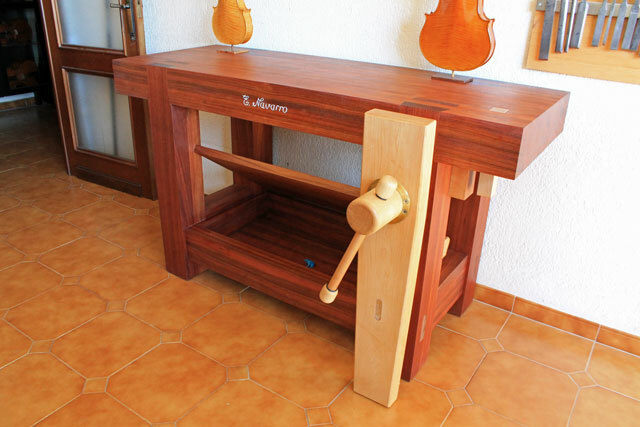 Our June 2014 Workbench of the Month is a Spanish beauty from Stephane B. of Valencia, Spain. Crafted by woodworker Emilio Navarro, this bench is not only a wonder to behold but it is also built primarily out of etimoe which is a West African hardwood similar to the look and feel of rosewood due to its strength, hardness and color. Now you don’t see that everyday in a workbench. We hope you enjoy. 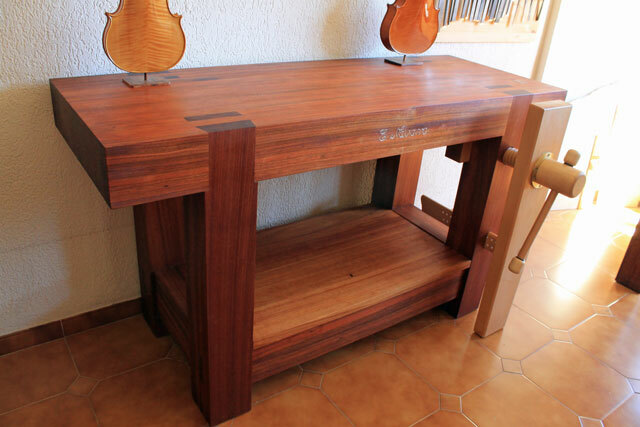 Hello, I am Stephane B., violin maker in Valencia, Spain. 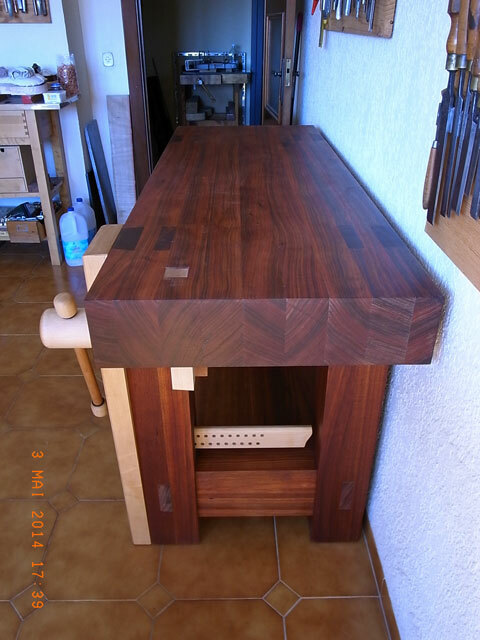 This is my new roubo workbench made by the woodworker Emilio Navarro from El Puig, Valencia. 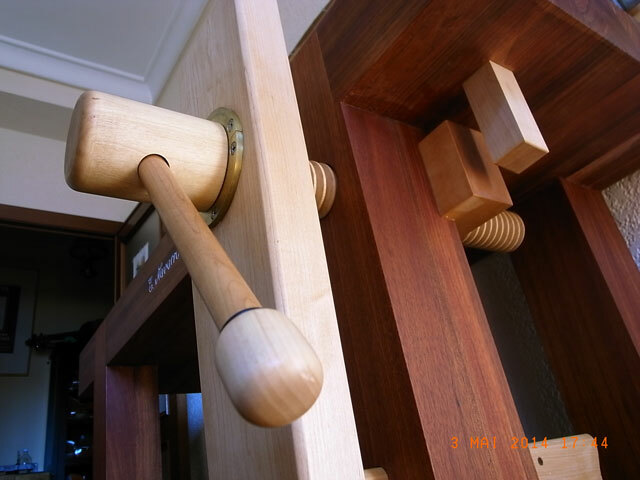 He is made from etimoe and hard maple. The top is 155 cm long, 55 cm wide and 13 cm thick. (61” long, 22” wide, 5” thick) The bench is 87 cm height. (34” height) The pore of the etimoe has been closed with puzzolana earth. The finish is leinos primer oil, leinos hard oil and liberon wax. The bench is heavy, around 130 kg. (287 LB.) The Lake Erie Toolworks leg vise is very well made and works very well too.